This home for sale in Riverstone was a Residence 1 model. List price was $775,000 - Sale price was $710,000 with only 53 days on the market as it closed on December 27, 2013. This home was upgraded nicely and had a huge tropical pool. Sale price was very impressive for this mode which is same as the Dover model in Imagination Farms. 15243 SW 39th Street in Riverstone. This home for sale in Riverstone was the Residence 5 model, which is similar to the Hanover model in Imagination Farms. It was a waterfront home with pool and had carpeting, marble and wood floors. The home was listed at $835,000 and sold for $820,000 on November 26, 2013 which was just 12 days on the market. It was a normal sale - Home was waterfront and pool. 15283 SW 35th Street in Riverstone. This home for sale in Riverstone was the Residence 3 model, which is identical to the Gramercy model in Imagination Farms. The home was originally listed at $869,000 and after a price reduction to $799,000 it went to contract on August 29, 2013 after 125 days on the market. The home closed on October 15, 2013 for $764,000.00 It was a regular sale It was on the water with a custom free for pool, upgrades were limited. This home for sale in Riverstone was the Residence 2. 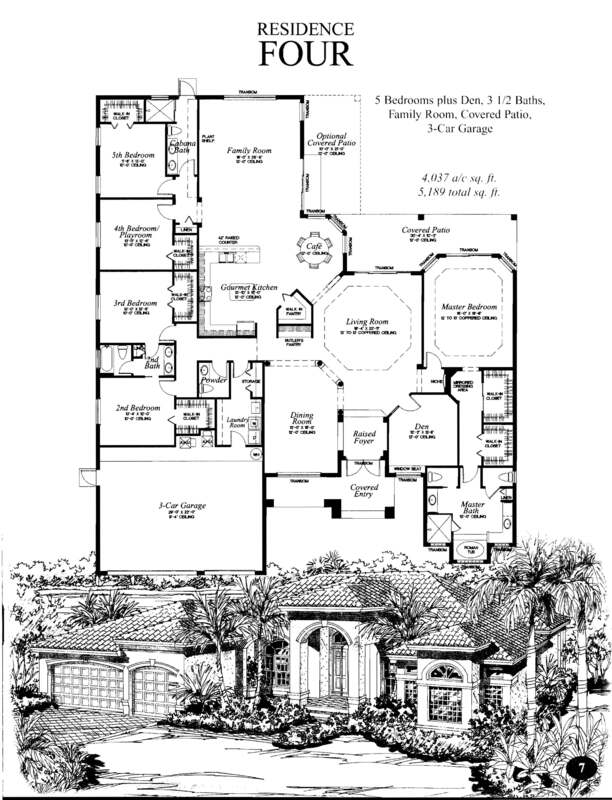 Correct square footage for this model is 3,412 sq.ft. living area and 4,696 total sq.feet. The home was a waterfront, pool model with Tile and carpeting and marble in the bath areas. 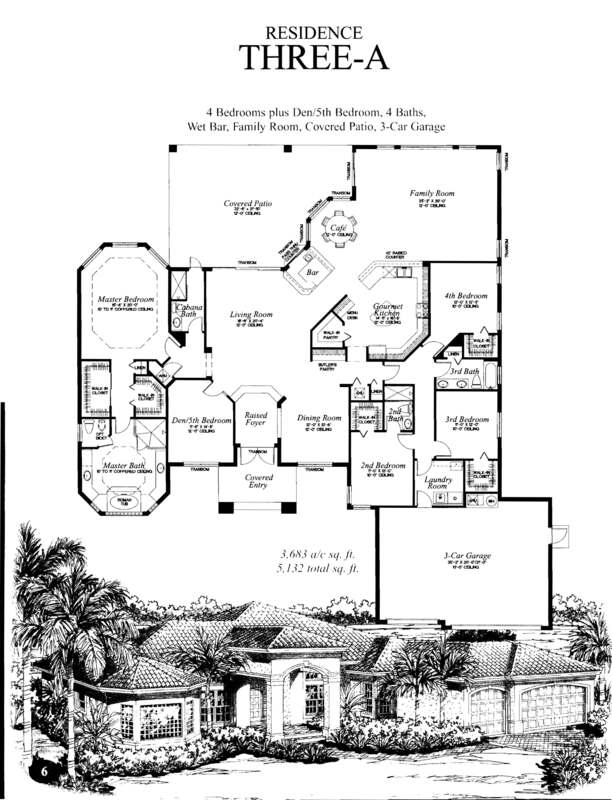 The residence 4 is a variation of the Calittera model in Long Lake Ranches. This home for sale in Riverstone was a Residence 3 model. List price was $620,000 - Sale price was $620,000 with 92 days on the market as it closed on July 26,, 2013. This home was a short sale, thus the low sale price. Upgrades included a home theater, wood flooring, accordion shutters and emergency generator. This home for sale in Riverstone was a Residence 4 model on water with pool. List price was originally $875,000, it was then reduced to $799,900 and sold for $803,900. It was on the market for 123 days. Upgrades included a Brazillian Cherry wood floors, granite counters, Chicago brick pavers, French doors and more. Upgrades included a French doors, 42” cabinets, and screened patio. This home for sale in Riverstone was a Residence 3 model on water no pool . List price was $799,000 and sold for $770,000 with 124 days on the market as it closed on June 17, 2013. This home for sale in Riverstone was a Residence 4 model on water with a pool . Original list List price was $690,000, it was reduced to $640,000 and sold for $600,000 with 174 days on the market as it closed on May 28, 2013. 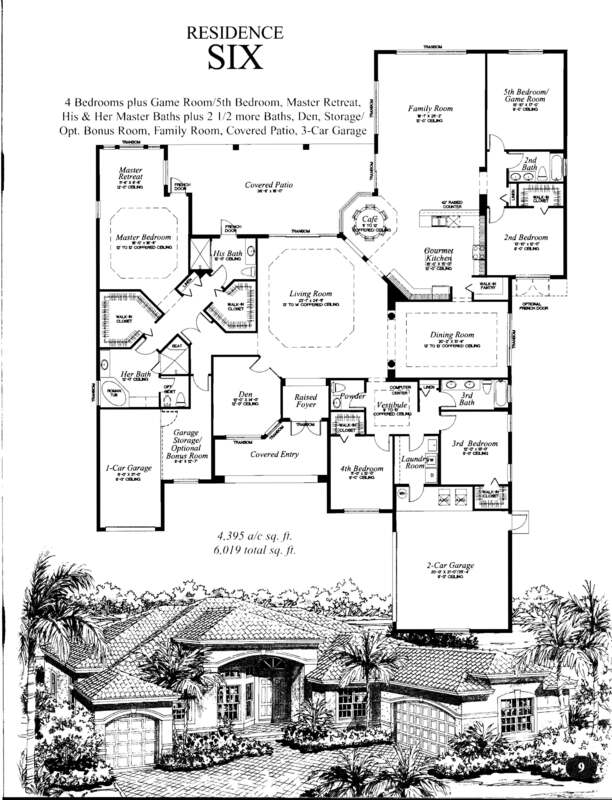 This home for sale in Riverstone was a Residence 6 model on water with a free form pool . List price was $897,500 and sold for $847,000 with 38 days on the market as it closed on March 19, 2013. The home featured marble and wood flooring, upgraded kitchen with stainless steel appliances, custom pool. This home for sale in Riverstone was a Residence 6 model on water with pool. List price was $899,000 and sold for $875,000. It was on the market for 9 days. Upgrades included custom free form pool, cul-de-sac location, marble & wood flooring, 42” kitchen cabinets. This home for sale in Riverstone was a Residence 6 model on water with pool. List price was $650,000 and sold for $650,000. It was on the market for 0 days. This was a short sale and in marginal condition.